Velvet Buzzsaw DVD and Blu-ray release date not announced. 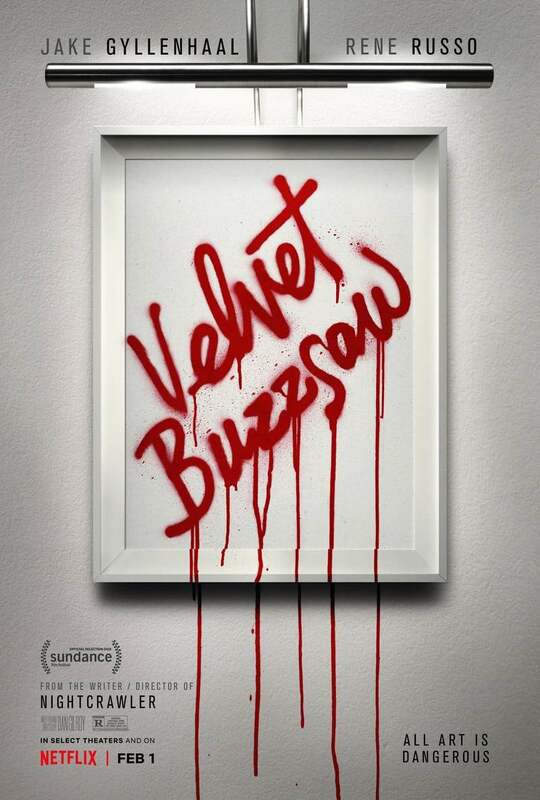 A vicious parody of the pretensions of the art world, Velvet Buzzsaw is about an art critic and his agent friend who discover a trove of amazing paintings by a completely unknown artist who recently died. There's only one catch: the people who buy the paintings tend to die in strange and horrific ways. Is there a curse on the paintings, and if so, will they be able to warn the new owners in time to save them? DVDs Release Dates is the best source to find out when does Velvet Buzzsaw come out on DVD and Blu-ray. Dates do change so check back often as the release approaches.